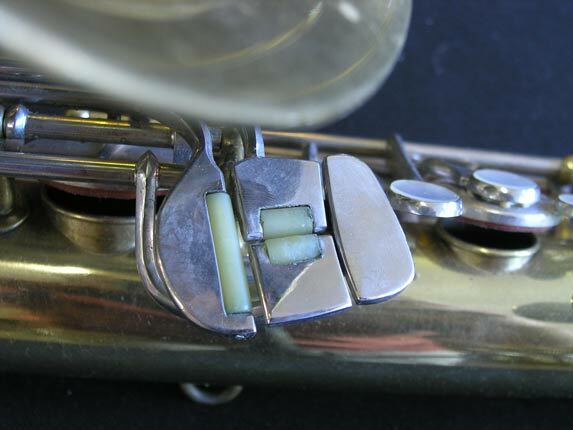 Note that a number of the original ersatz pearls are missing, and have been replaced by clear coloured glass or plastic pieces. 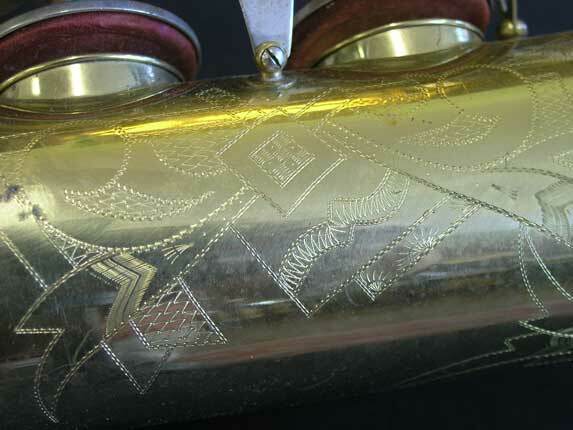 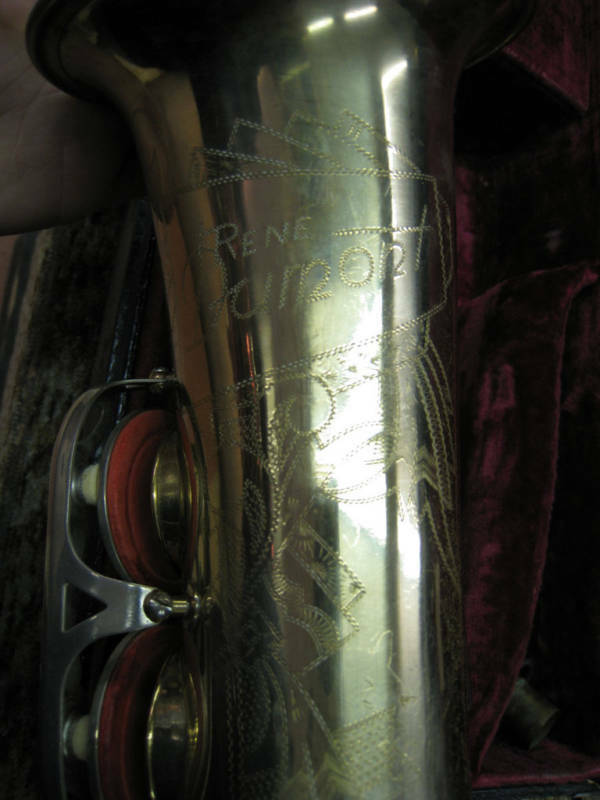 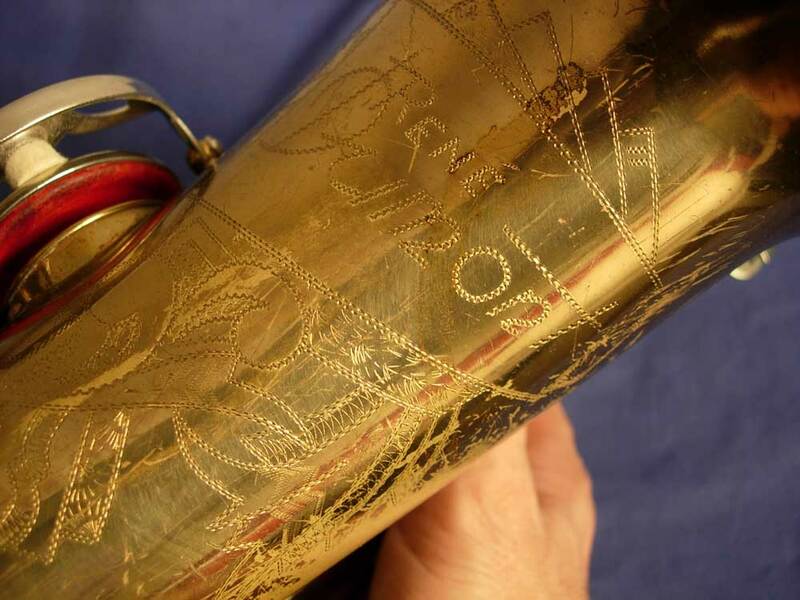 Of all the Dörfler & Jörka-stencilled saxophones, René Dumonts are certainly one of the most common. 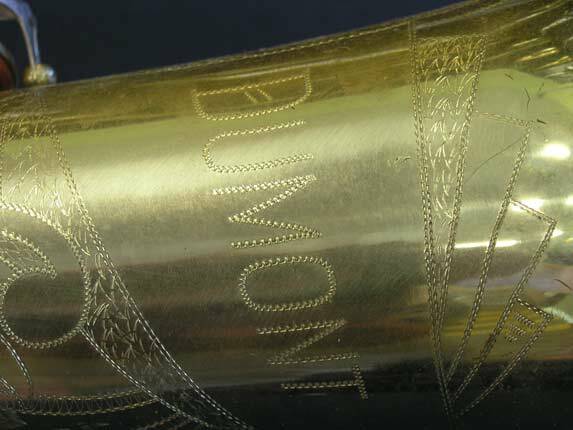 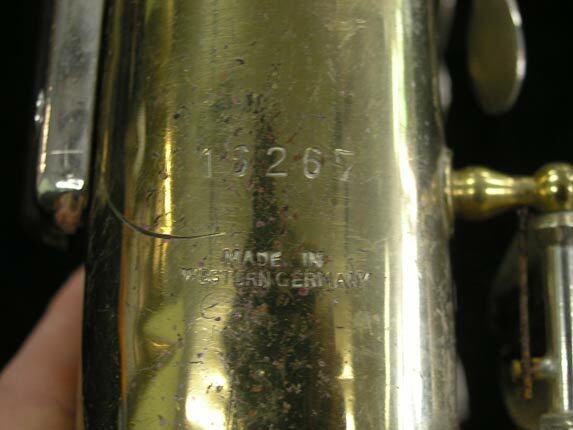 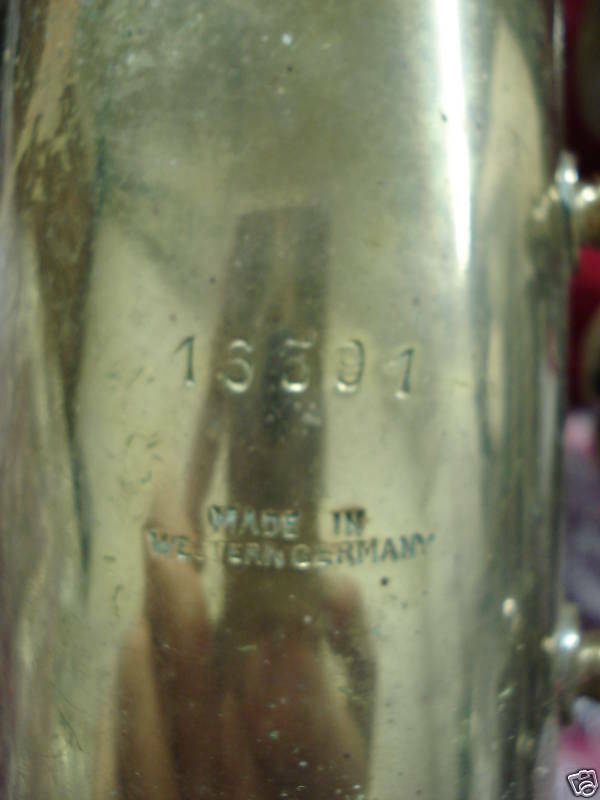 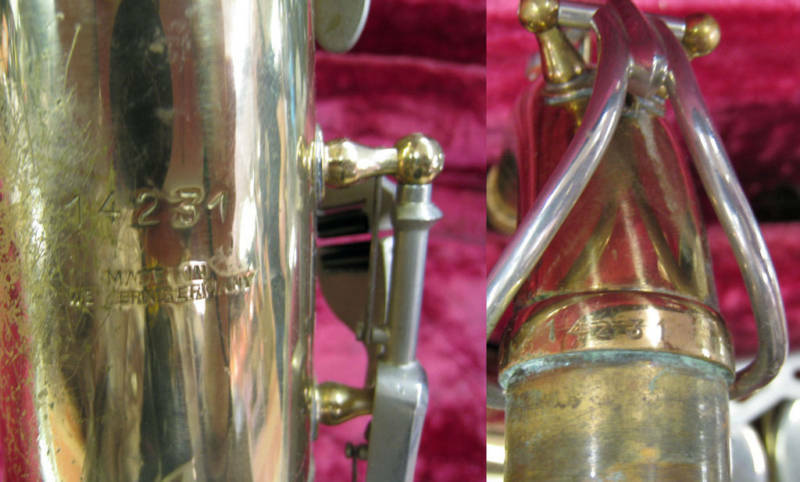 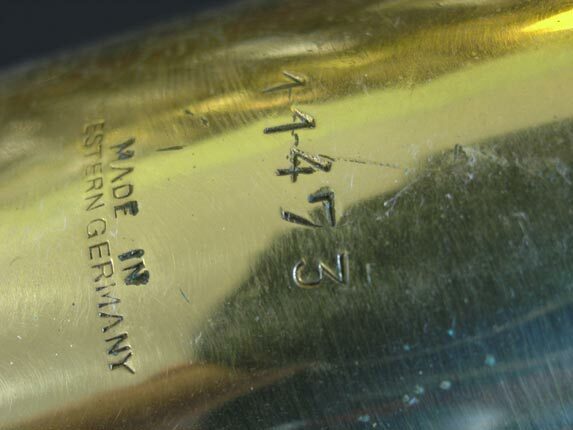 They appear for sale on eBay so often, that this stencil name alone tells us that D&J horns are anything but rare. 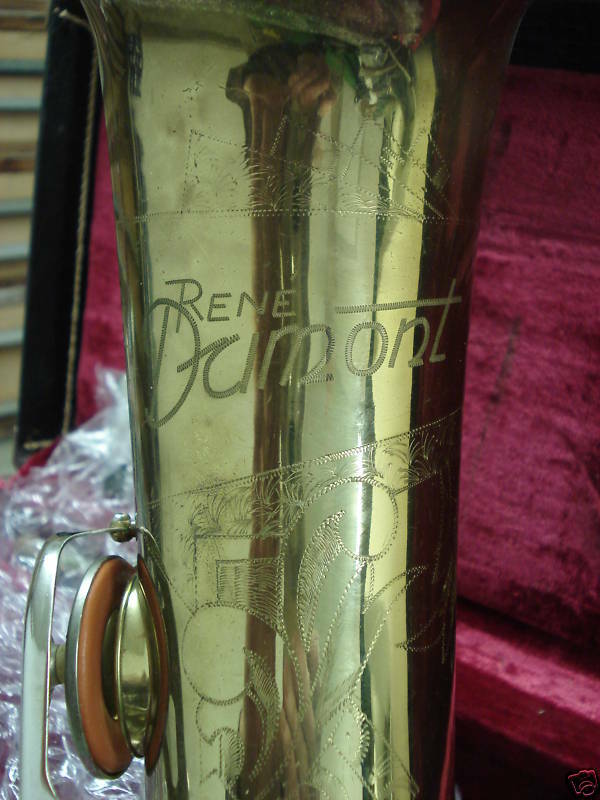 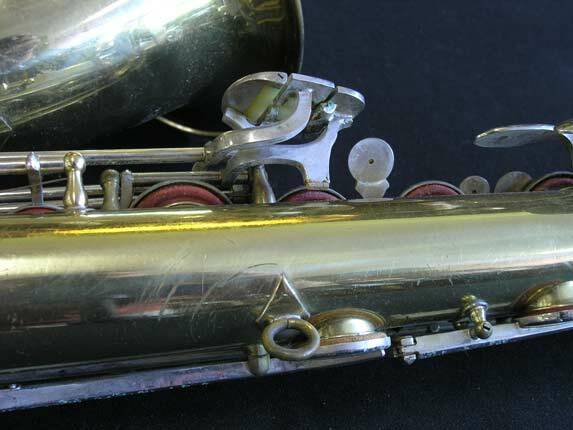 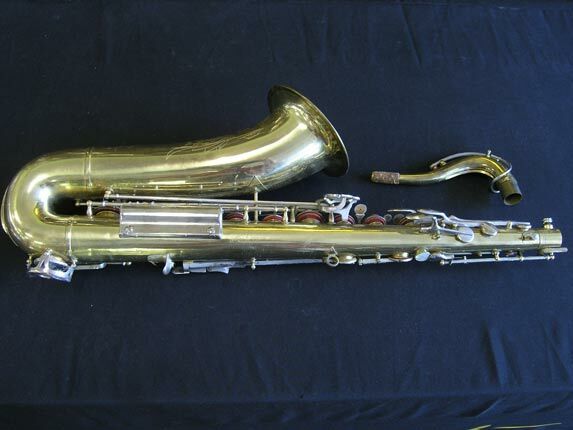 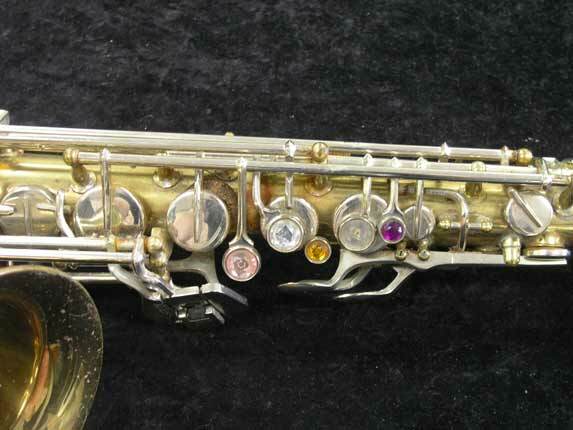 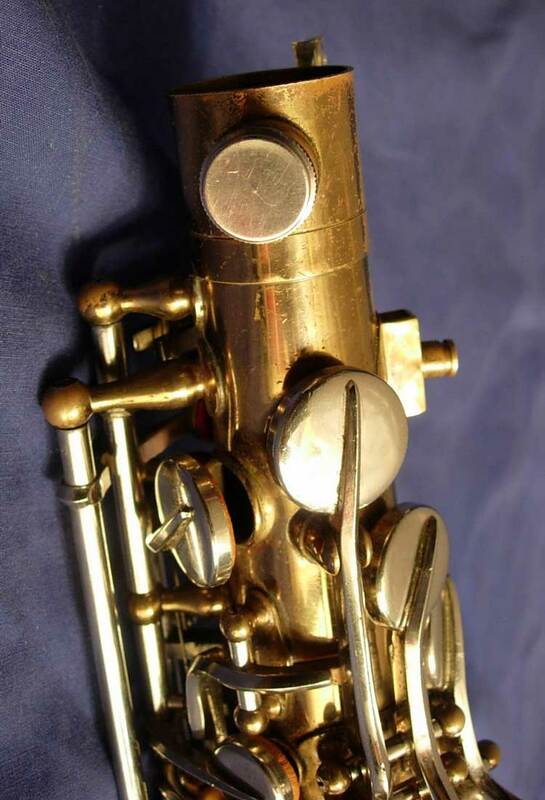 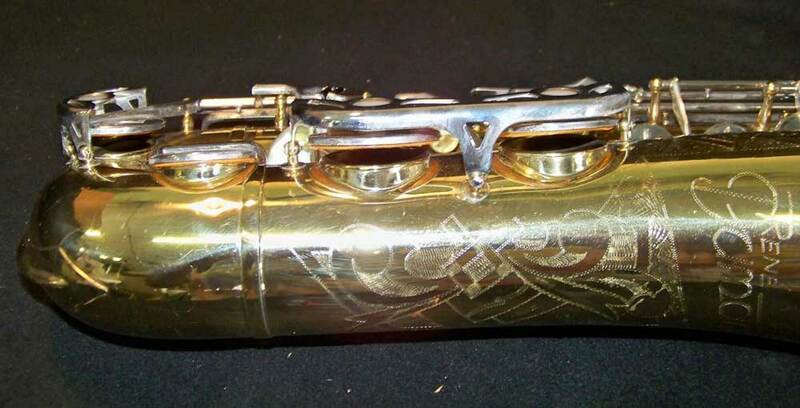 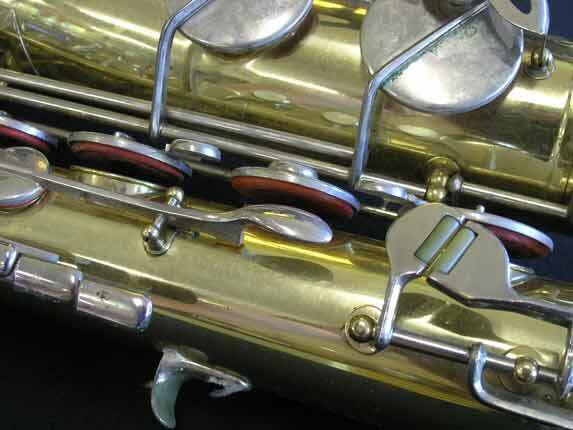 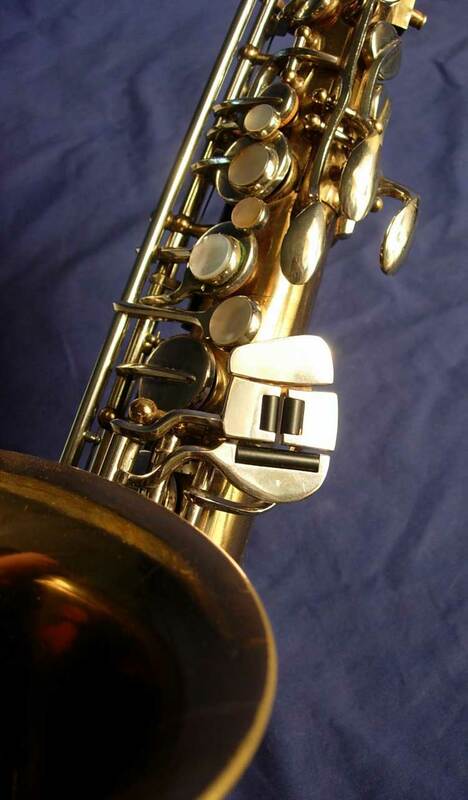 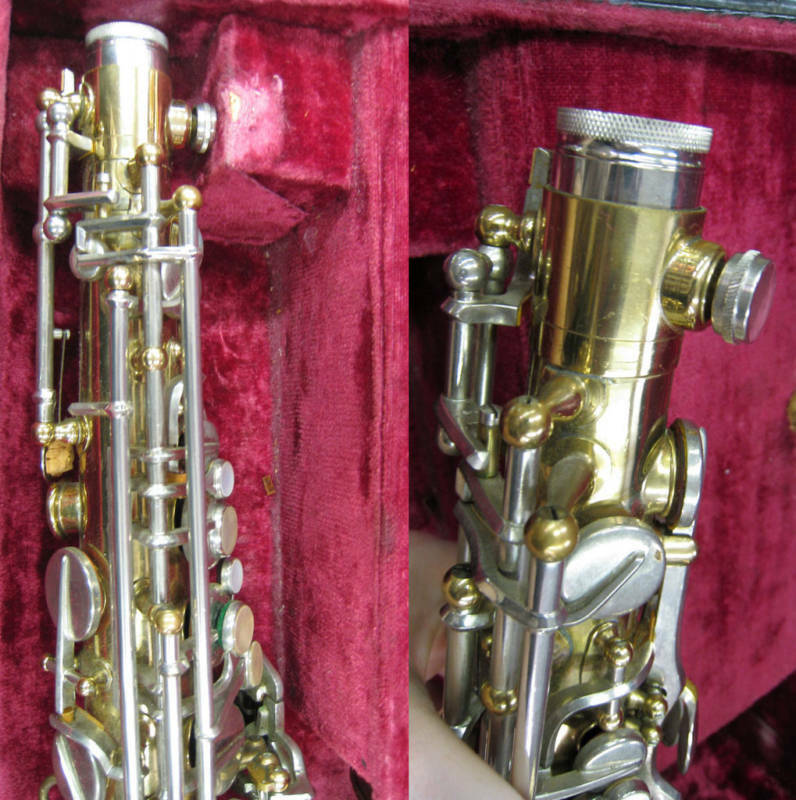 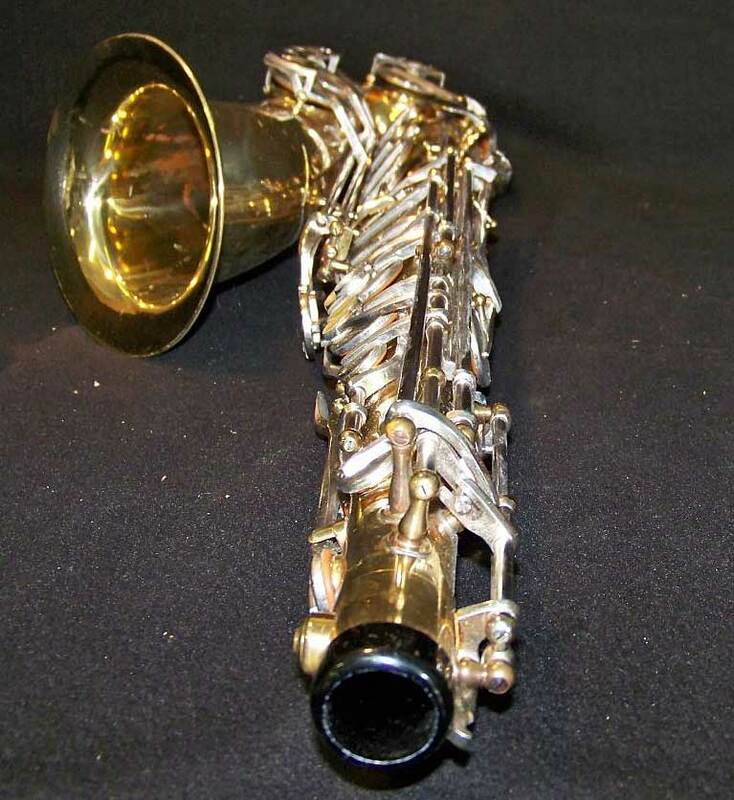 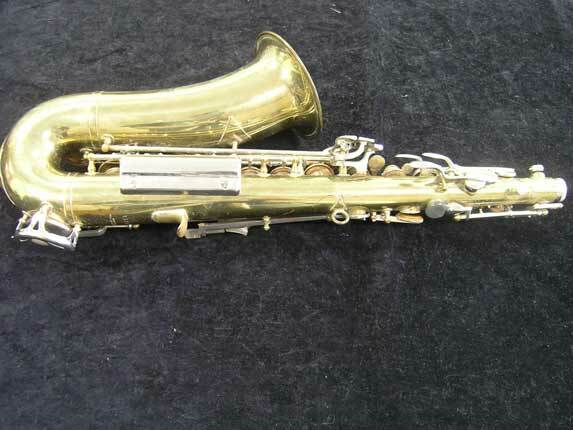 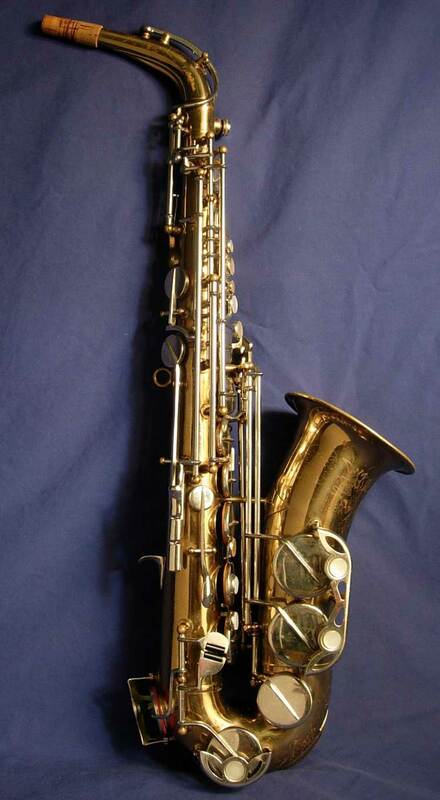 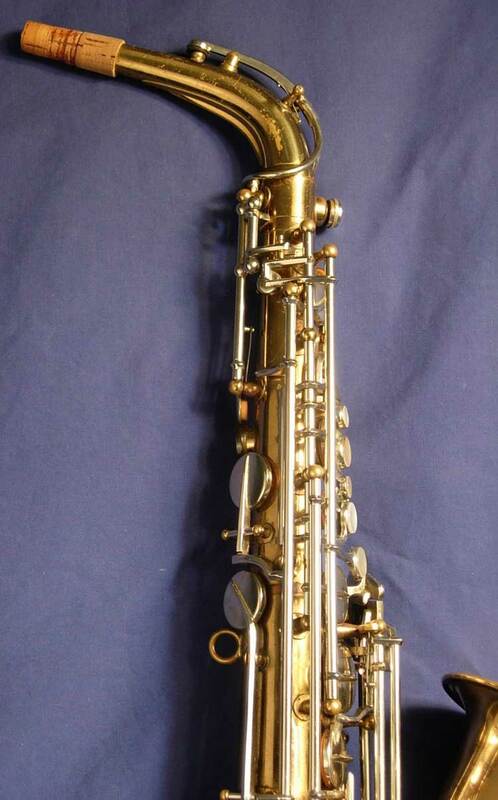 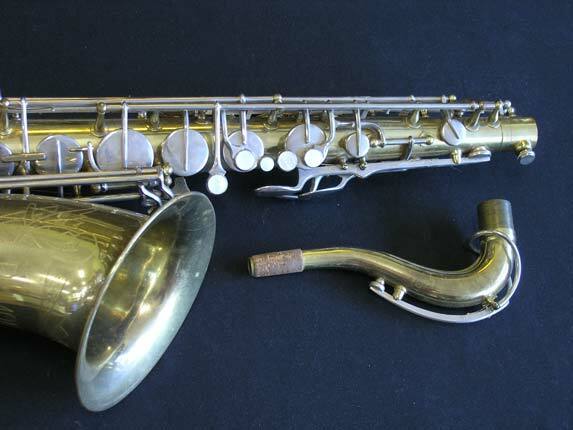 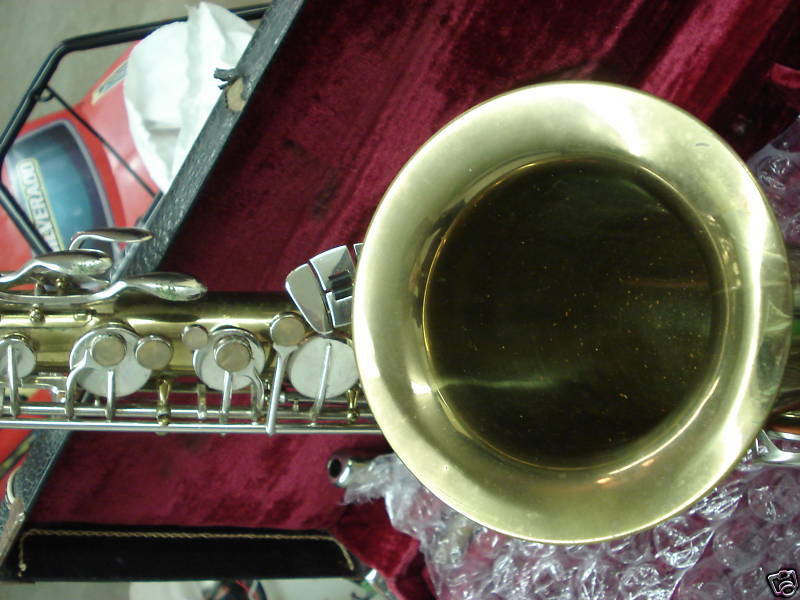 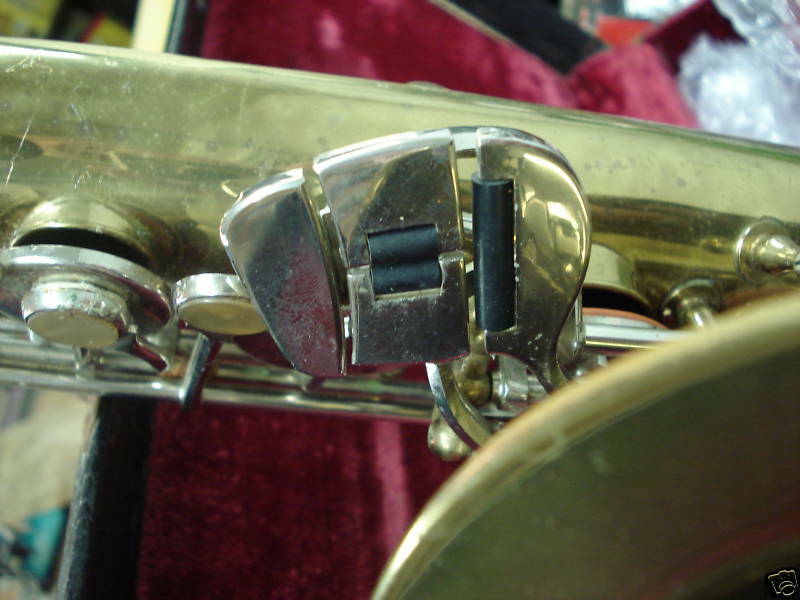 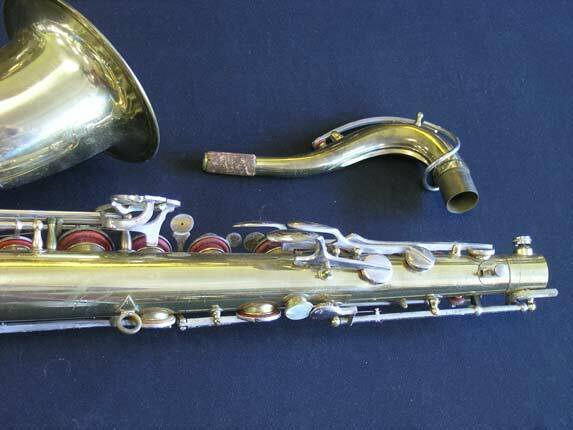 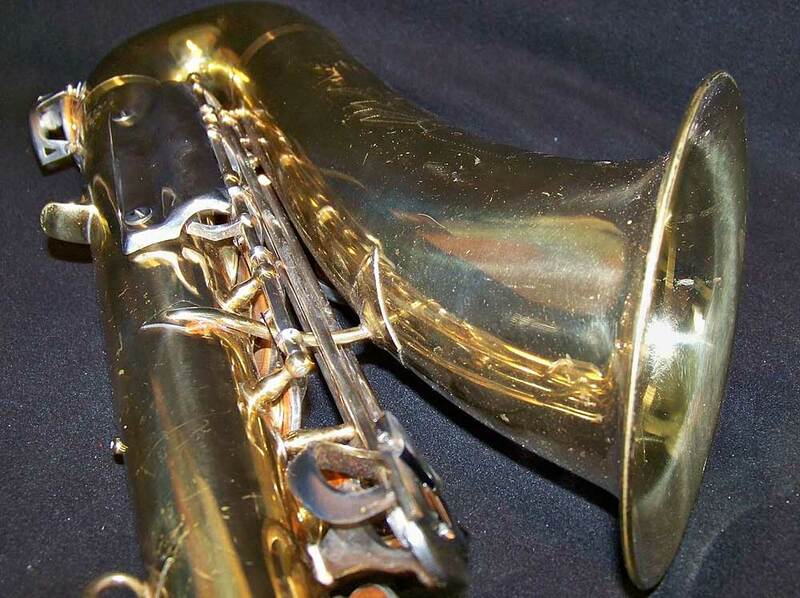 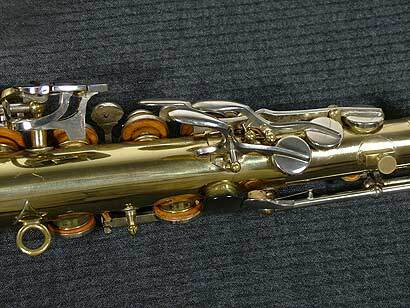 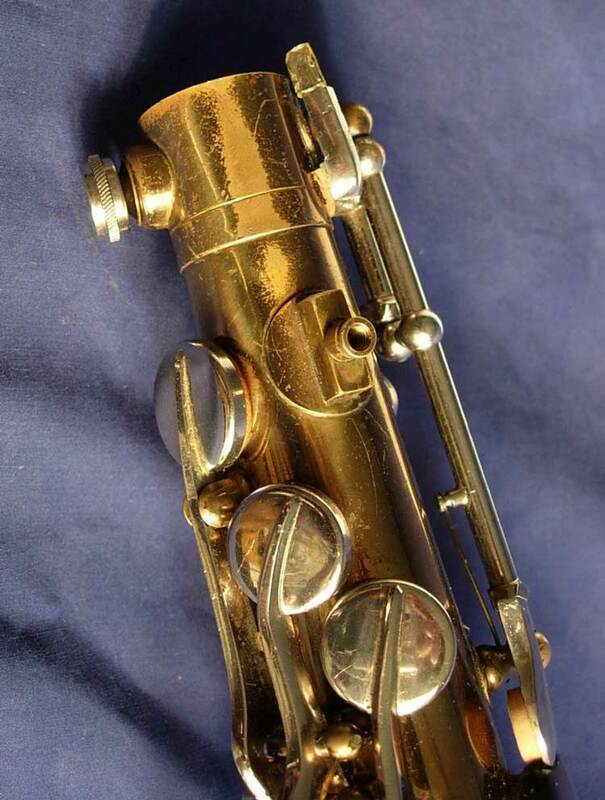 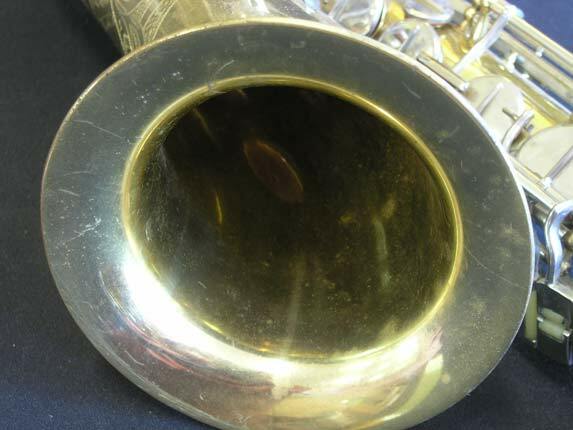 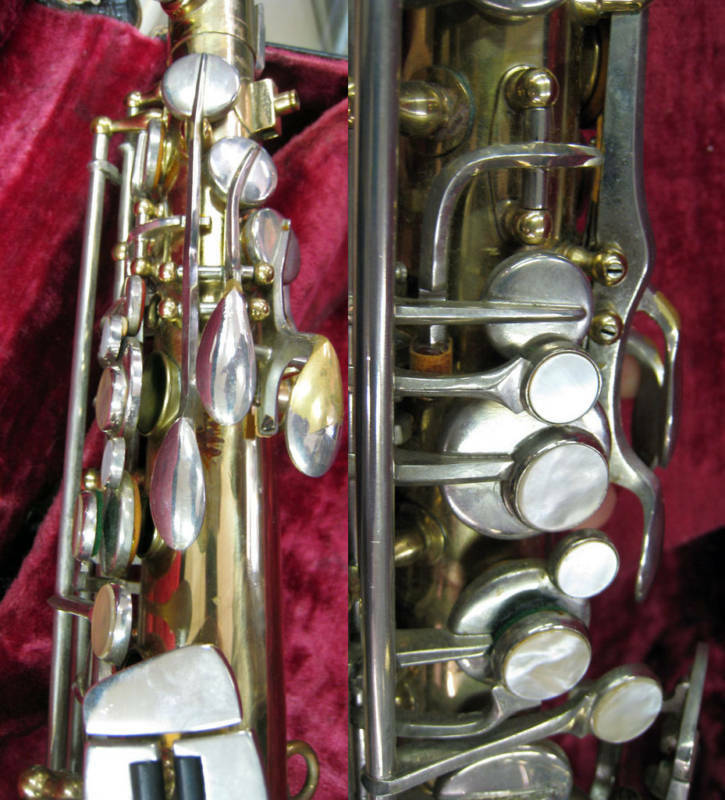 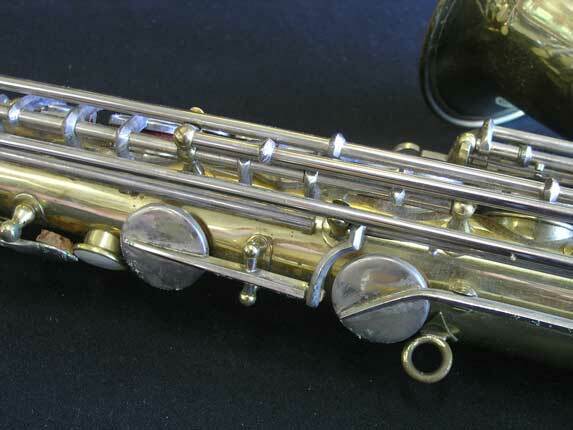 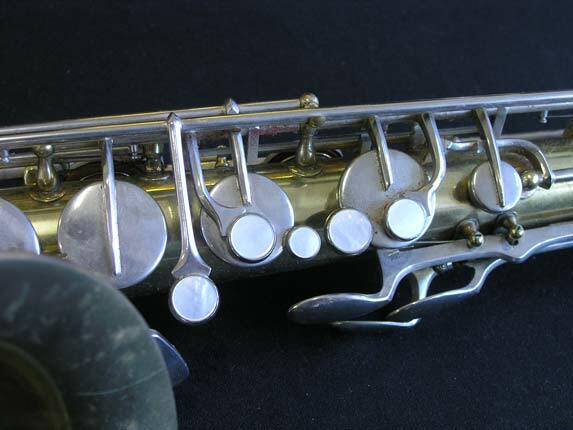 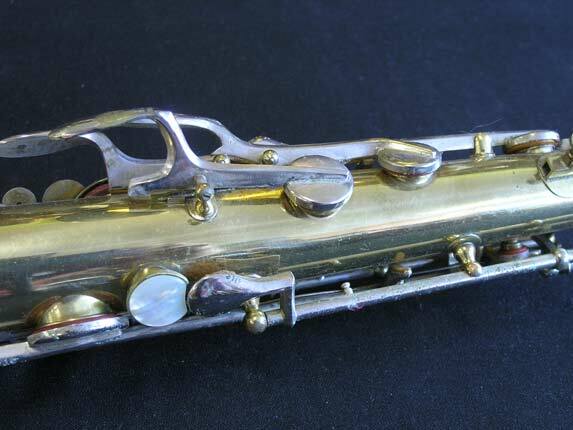 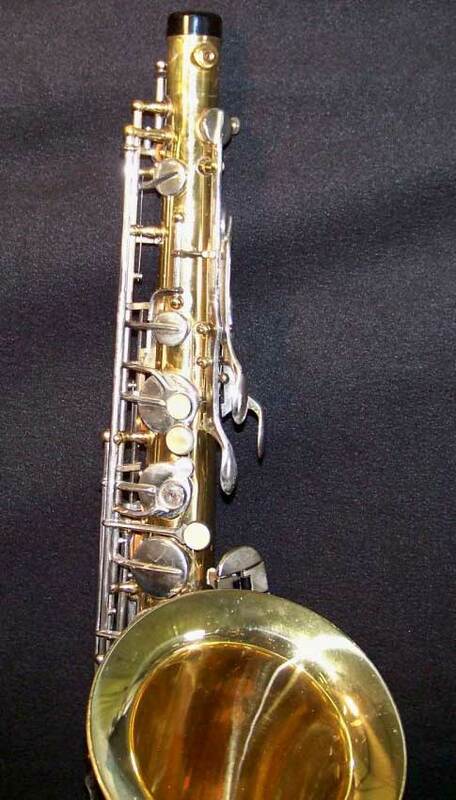 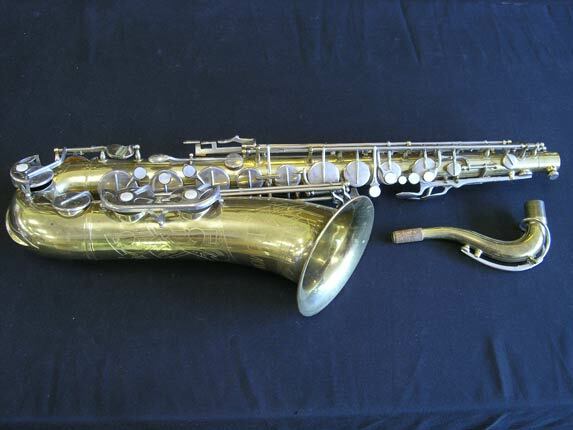 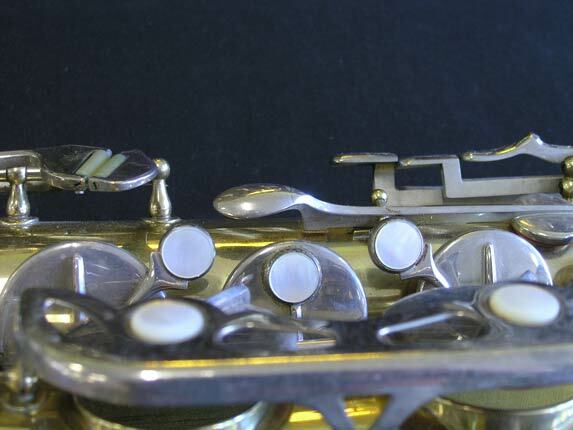 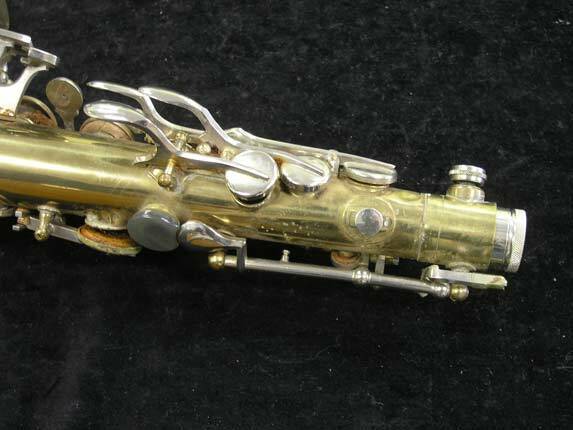 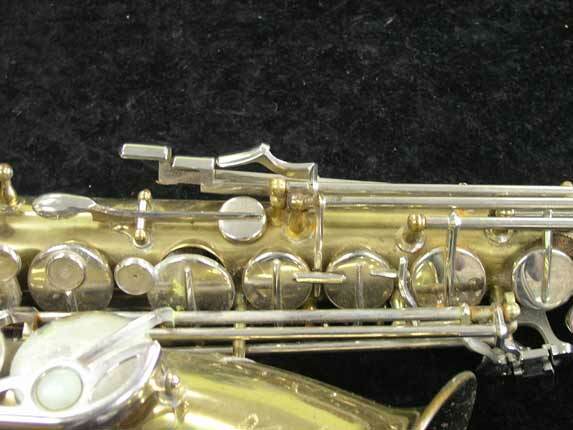 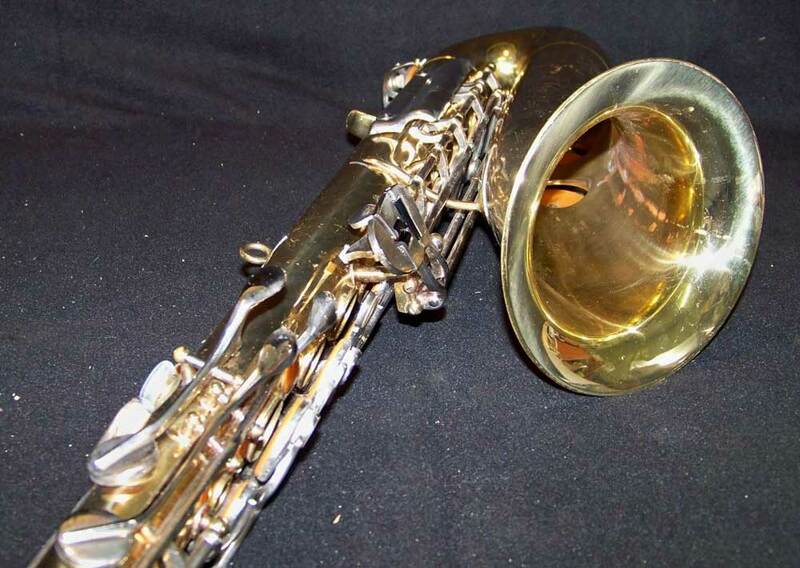 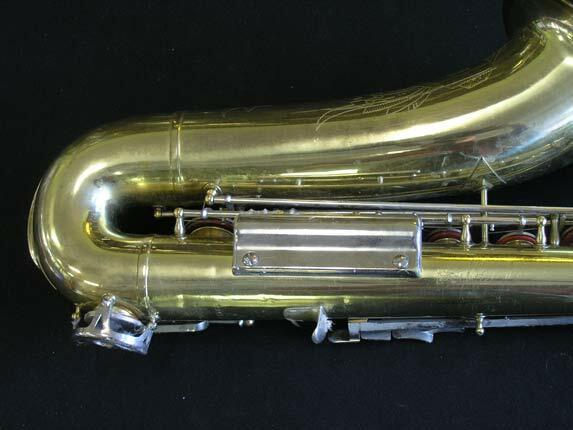 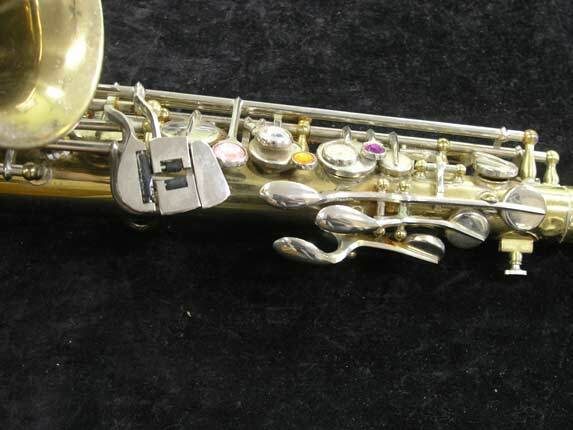 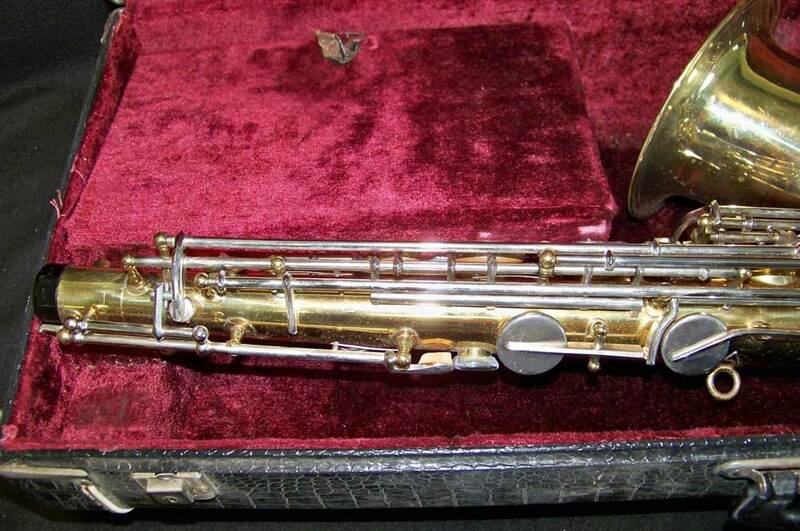 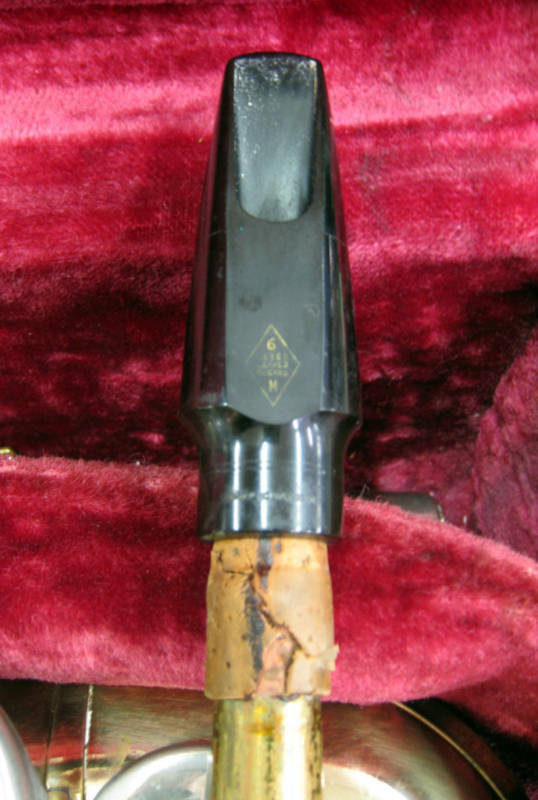 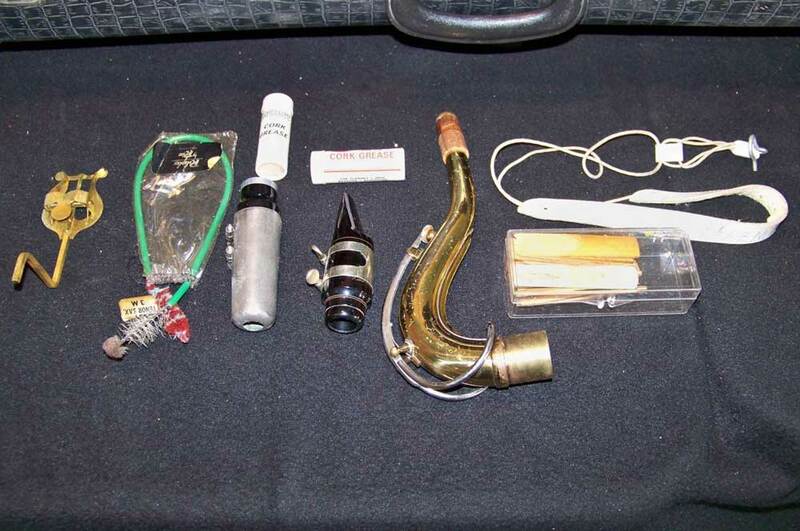 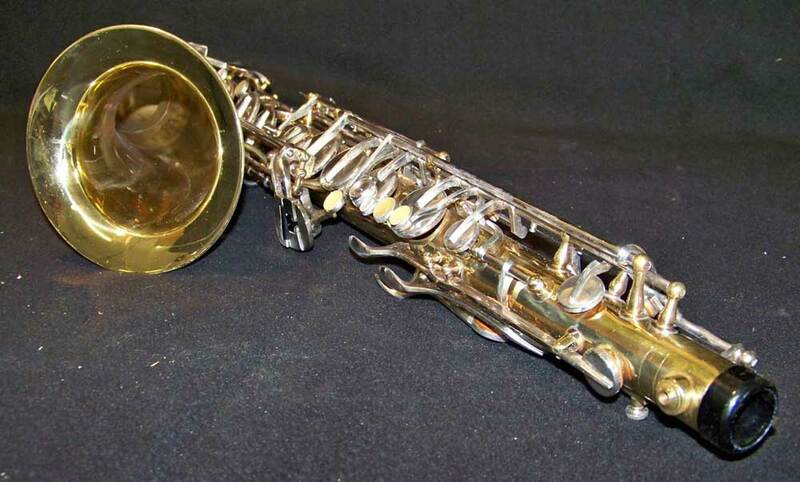 In October 2010 a father of young saxophone player bought a minty René Dumont alto, and proceeded to do some research. 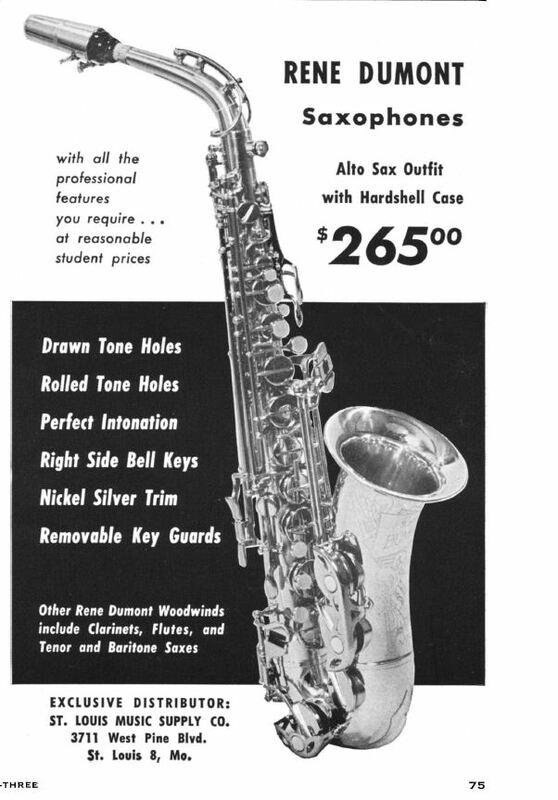 Through the course of his research he happened across not only my site, but also across an interesting ad from the Nov-Dec1963 edition of the Music Educators Journal. 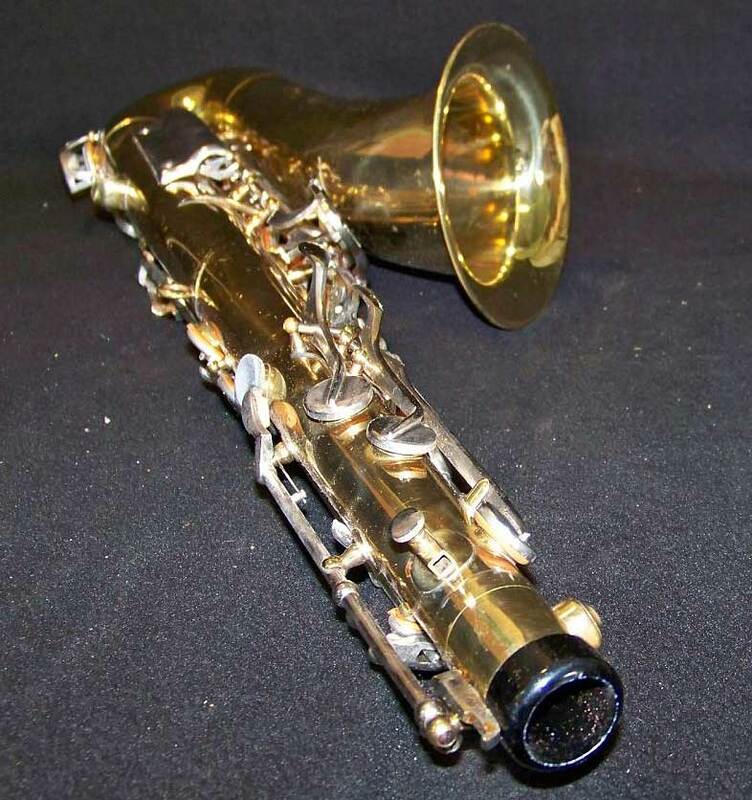 According to the US Dept. 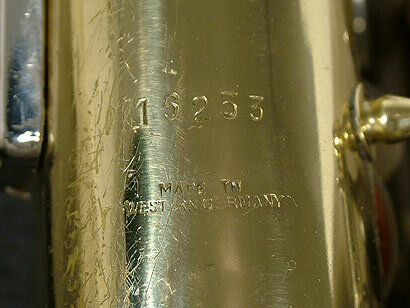 of Labor Statistics’ Inflation Calculator, $265 in 1963, would be $1,993.74 in 2012. 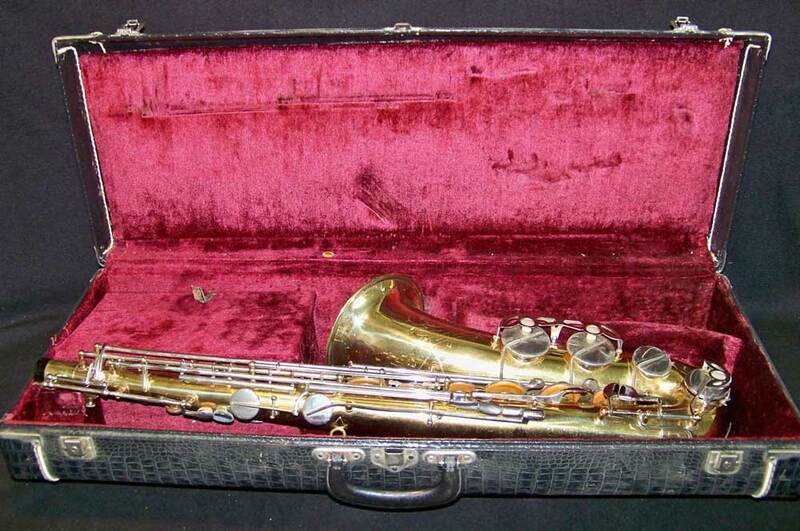 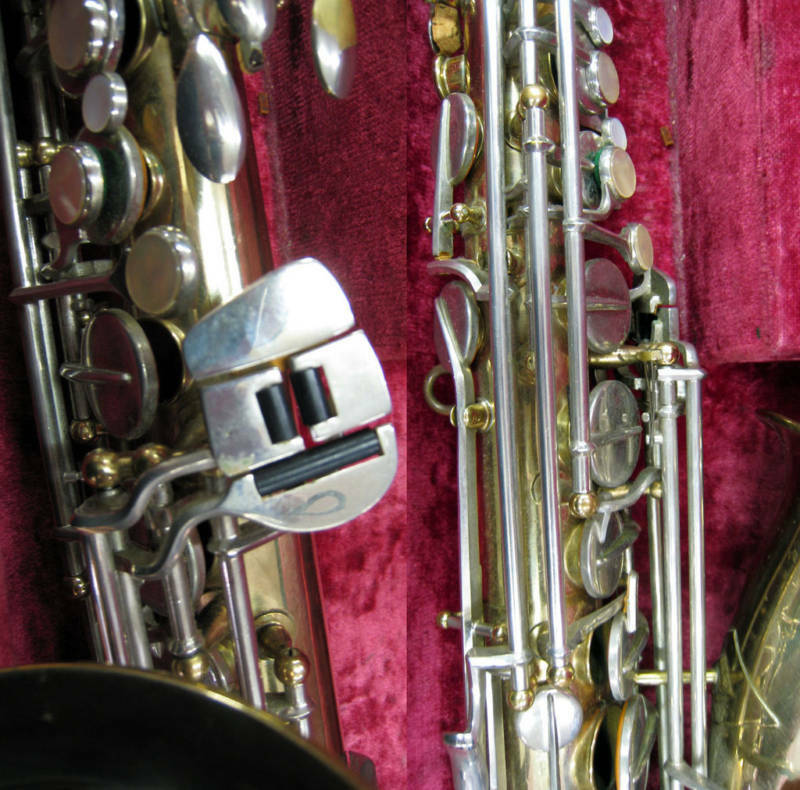 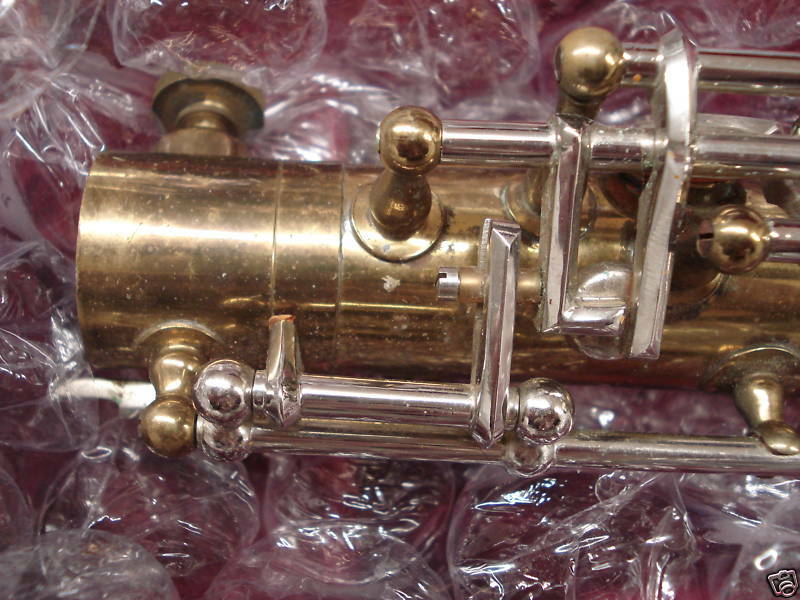 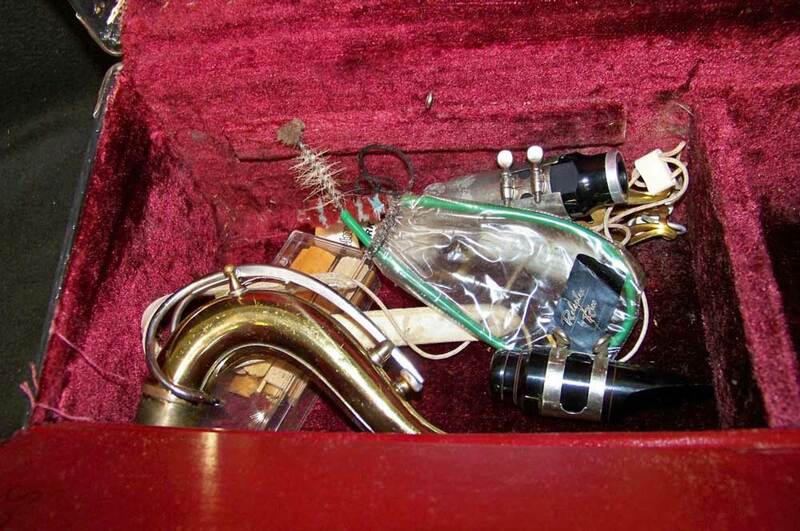 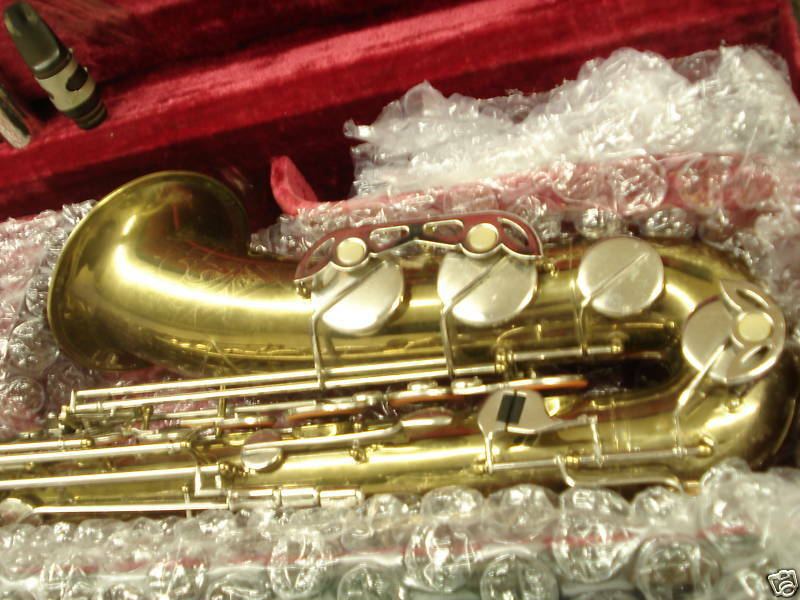 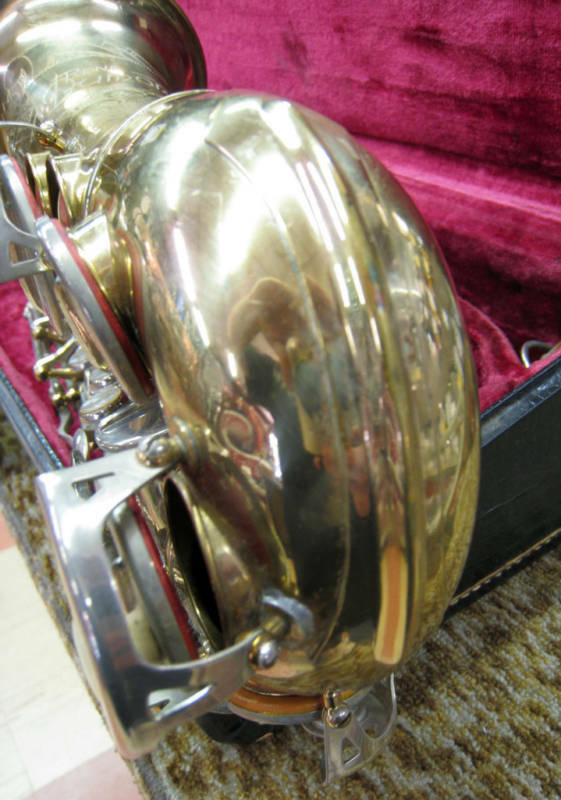 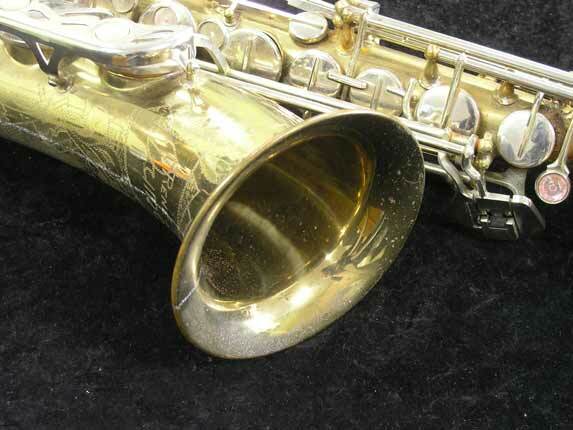 These D&J saxophones were anything but the toss ’em in the closet and forget about ’em kind. 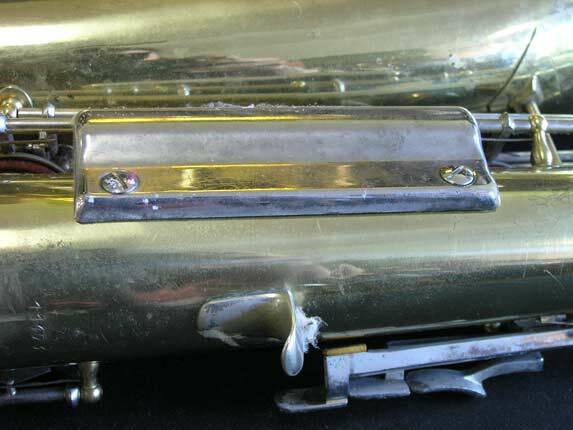 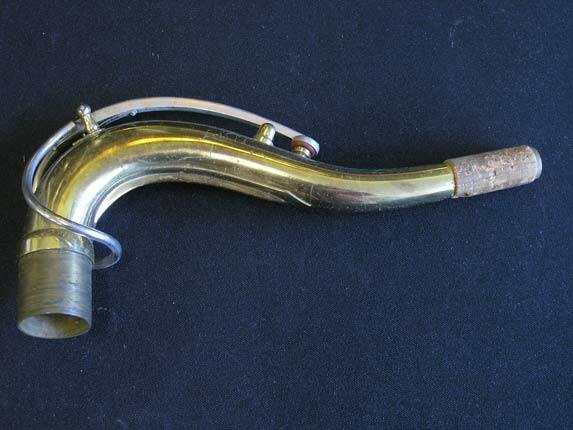 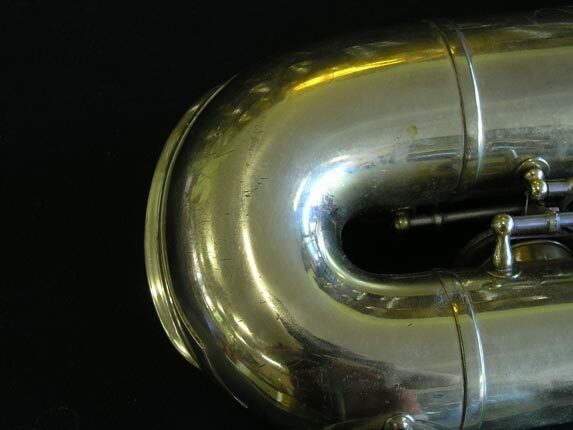 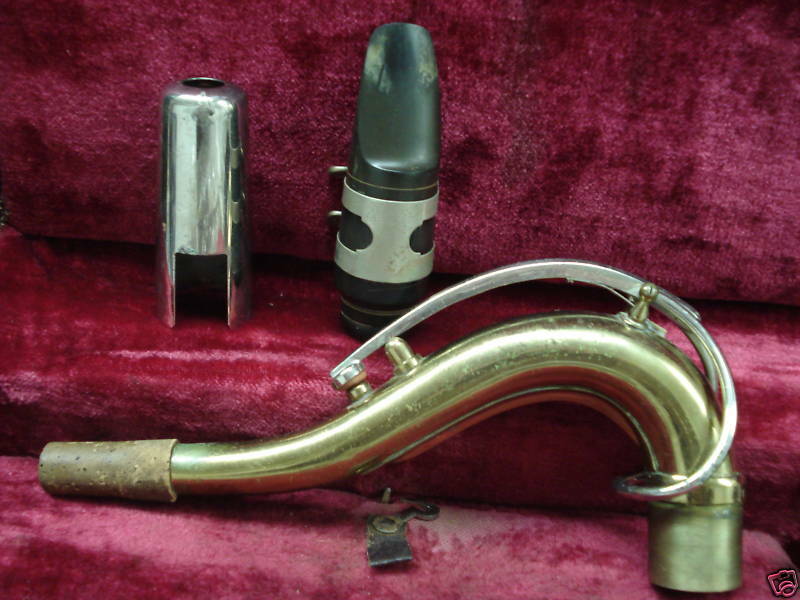 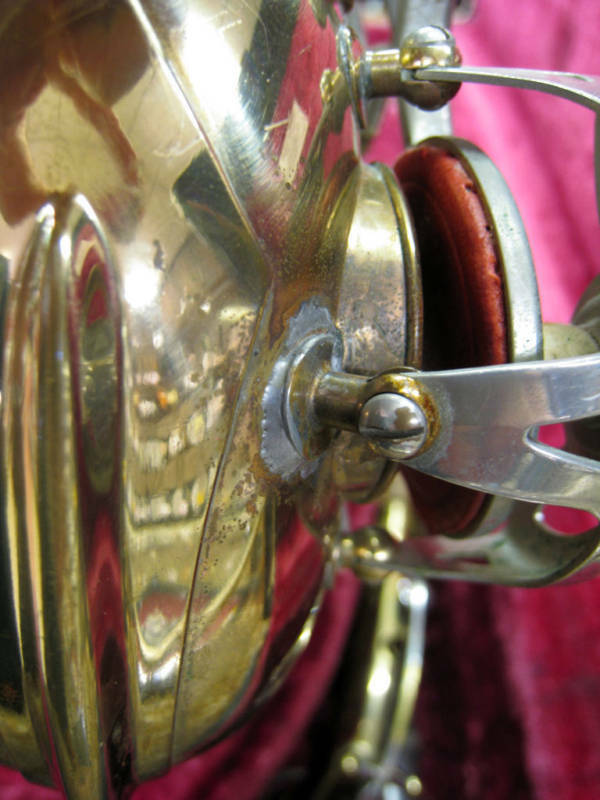 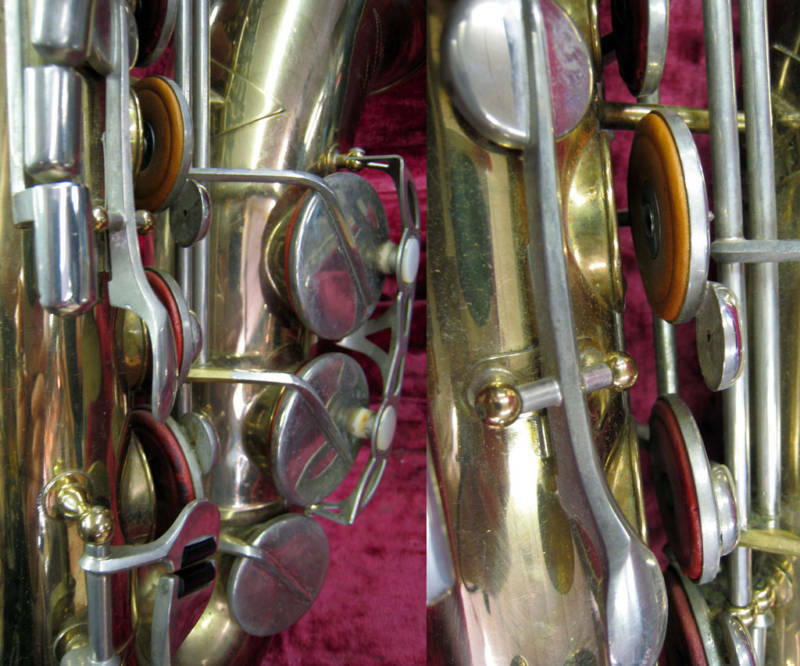 They were quality horns, which can be found for very little money today, even when in very good to excellent condition. 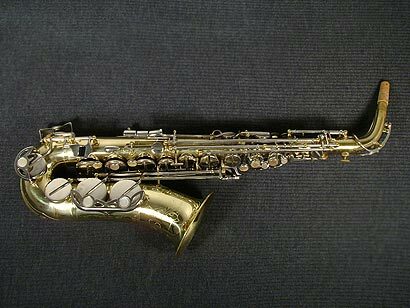 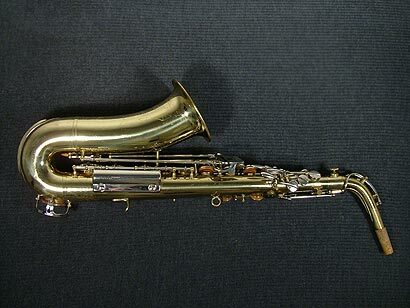 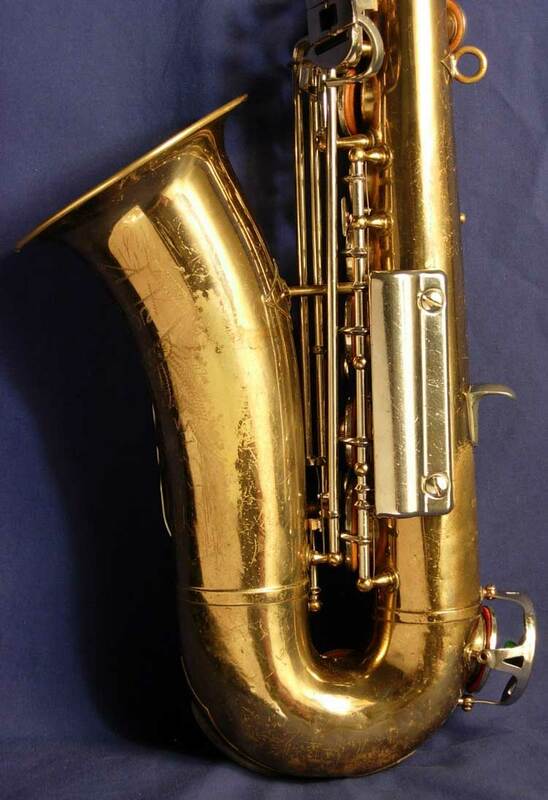 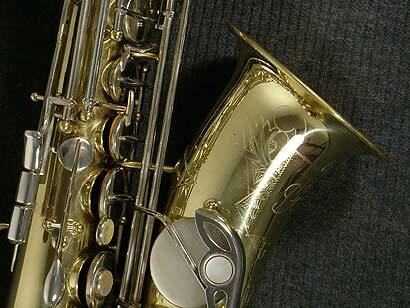 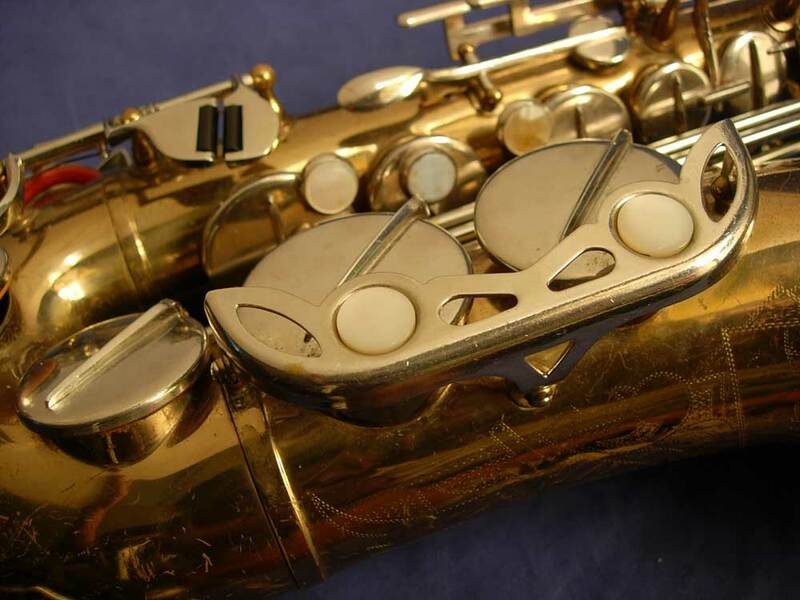 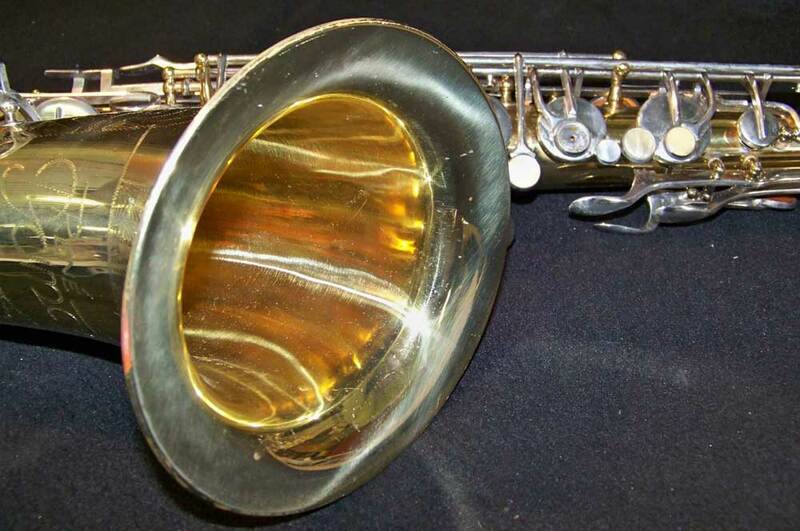 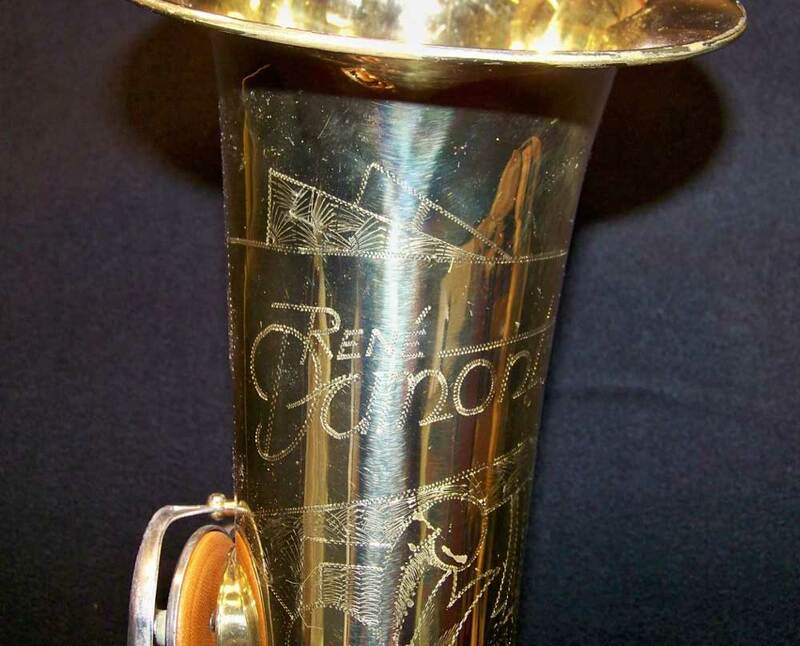 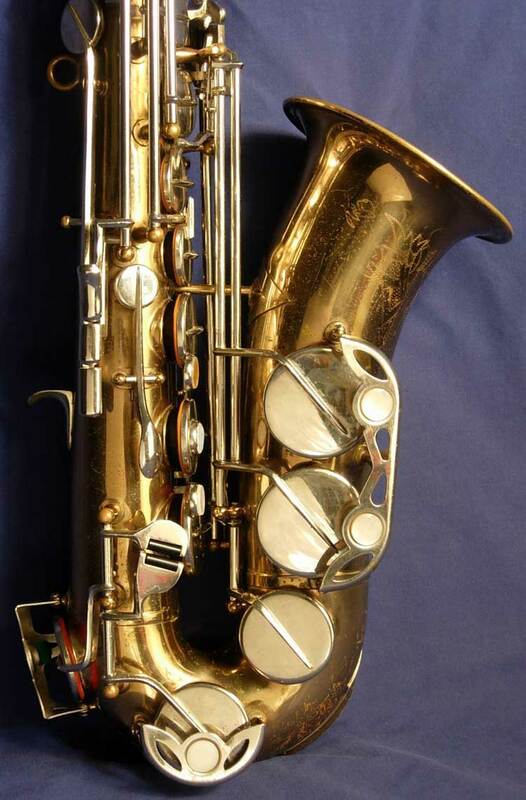 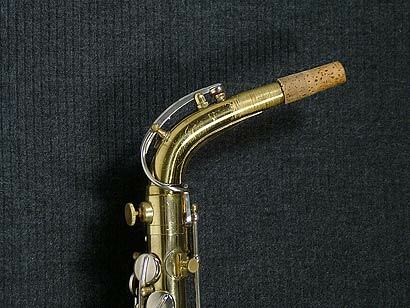 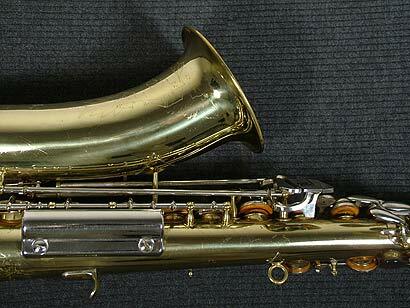 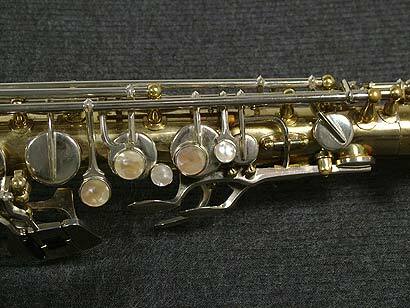 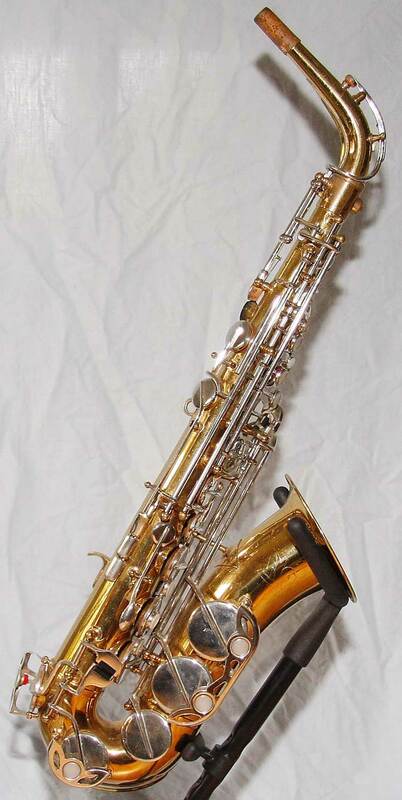 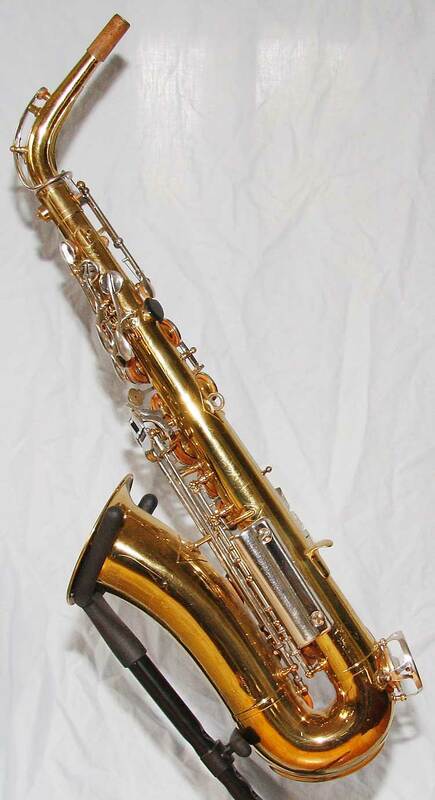 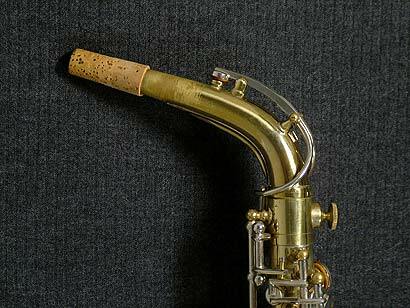 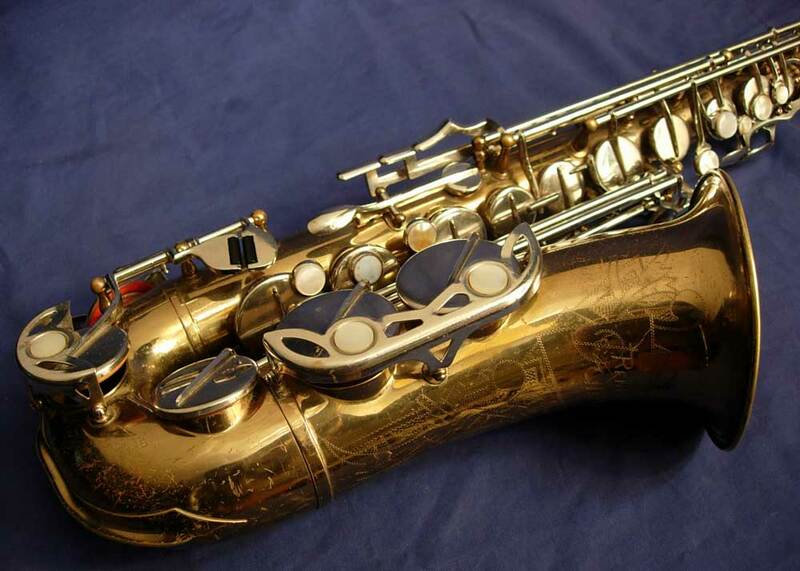 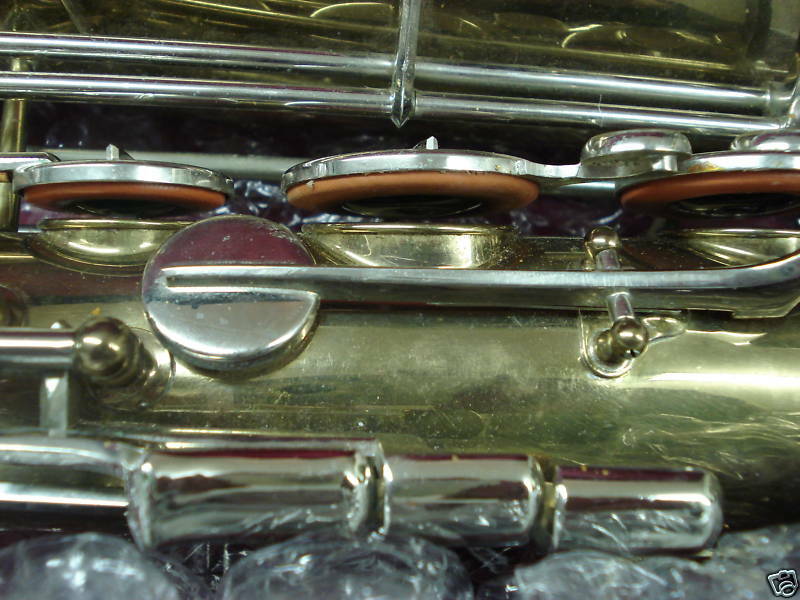 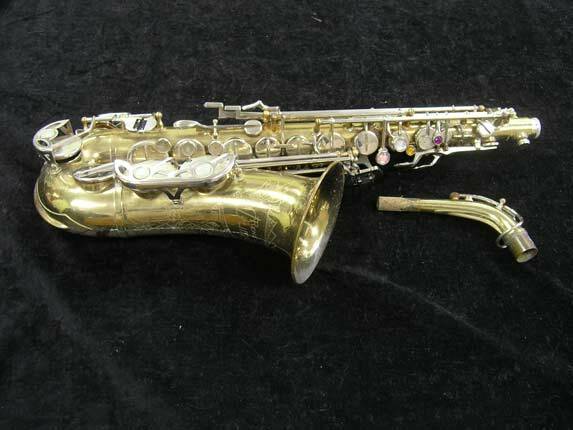 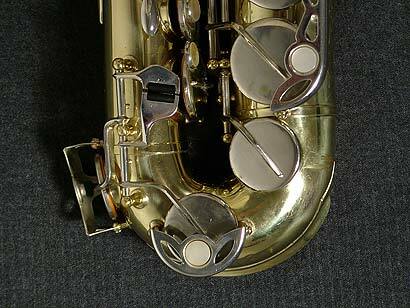 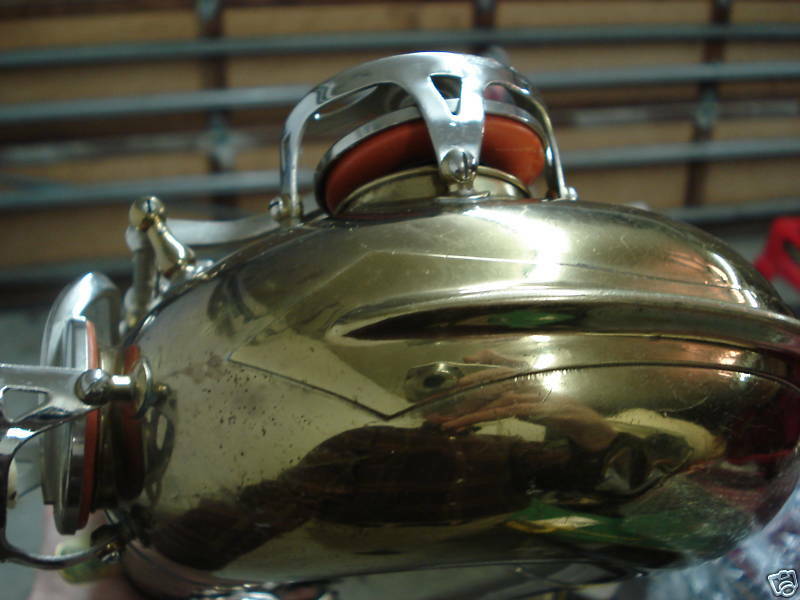 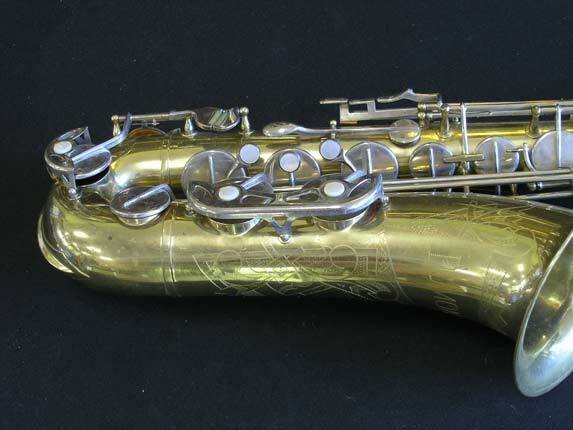 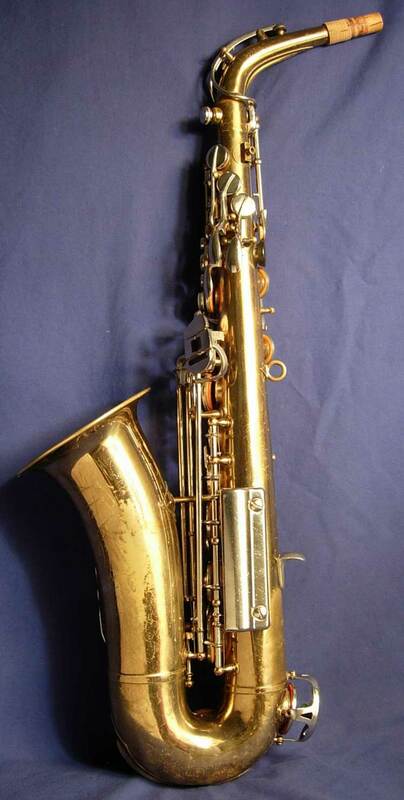 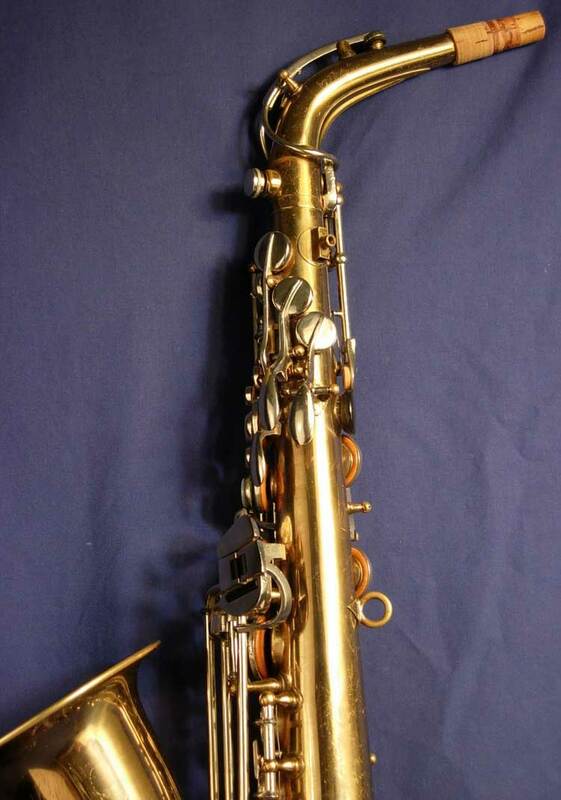 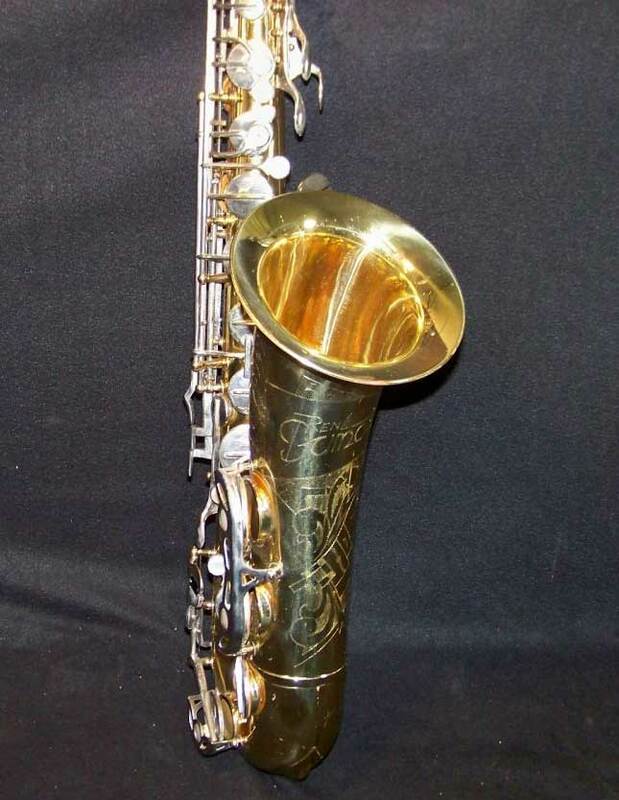 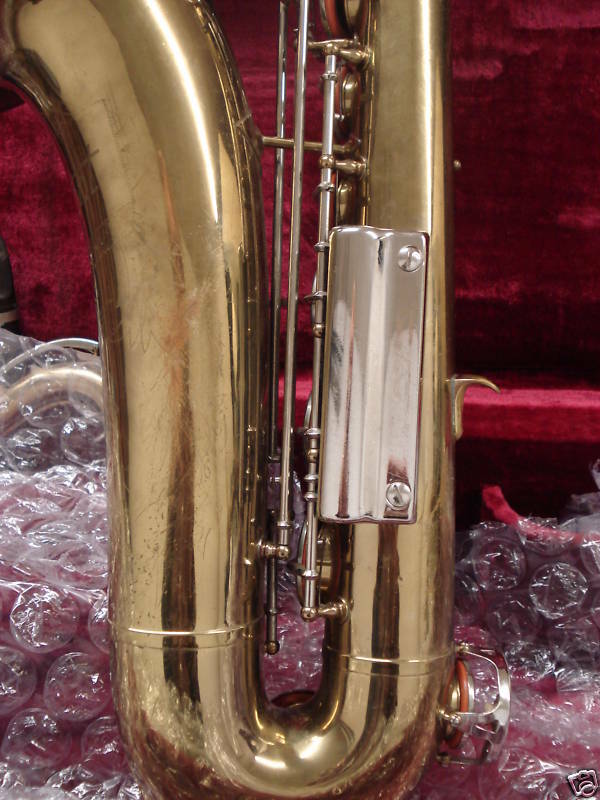 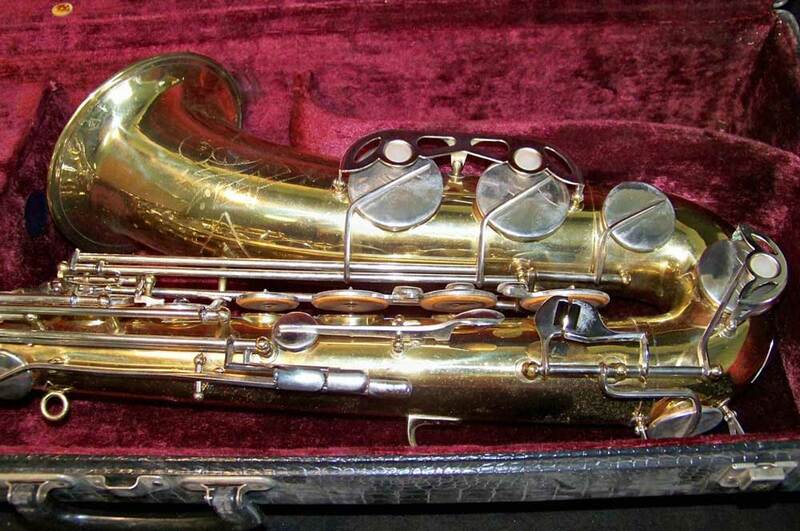 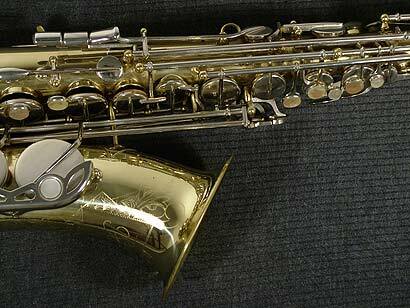 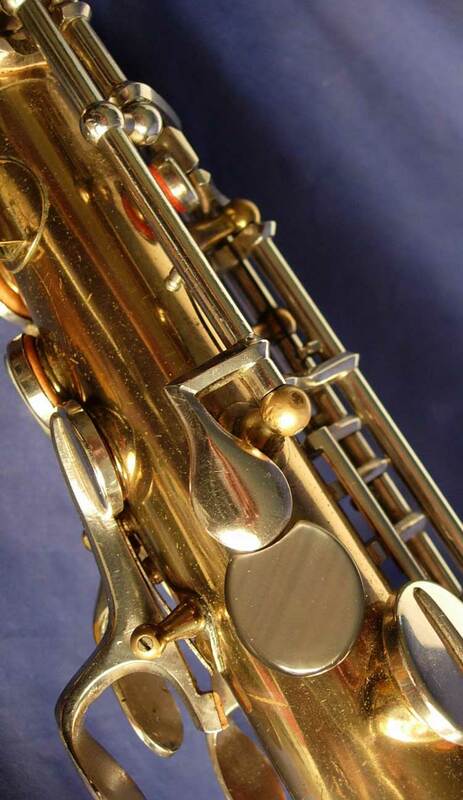 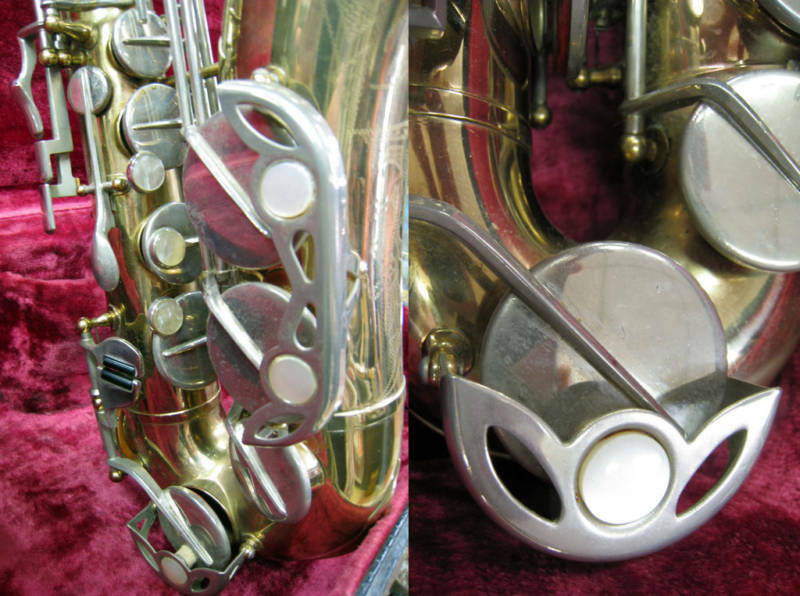 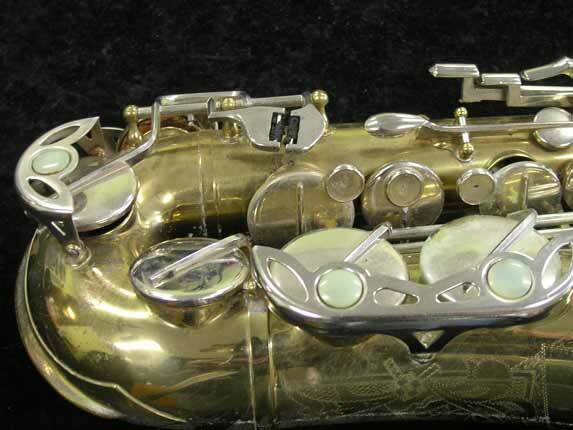 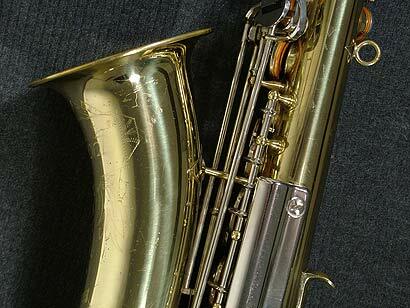 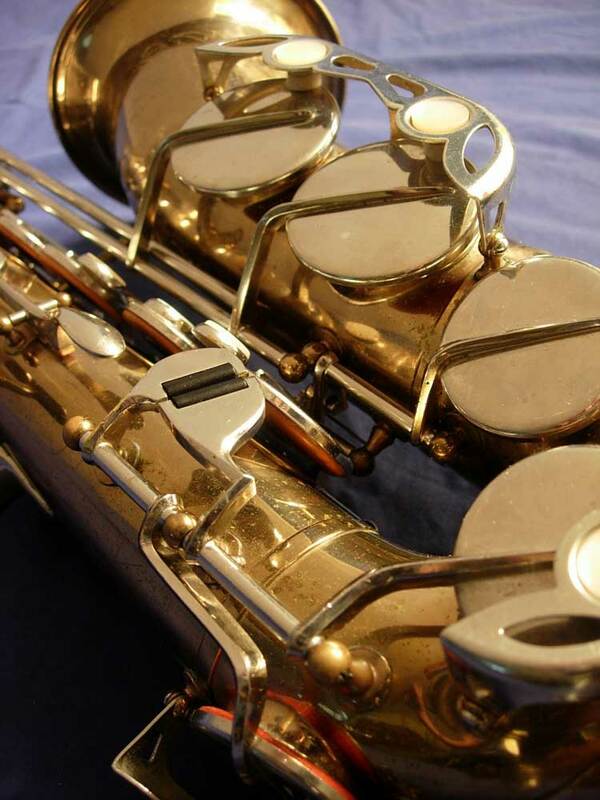 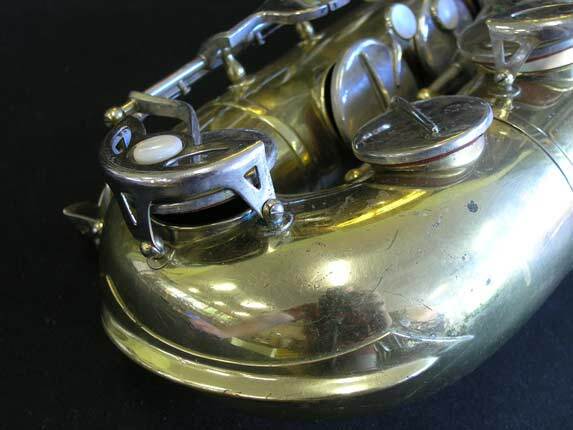 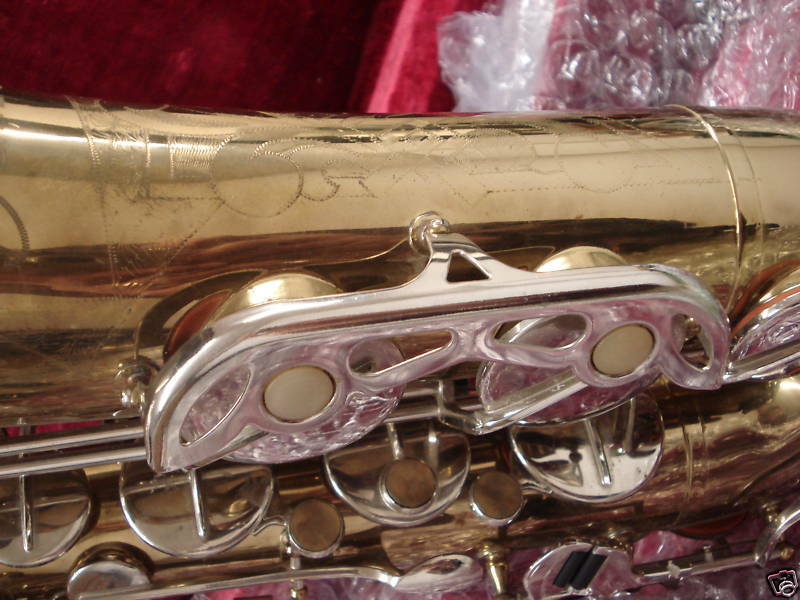 If you’d like to see more René Dumont saxophones, be sure to check out their gallery in Bassic Sax Pix. 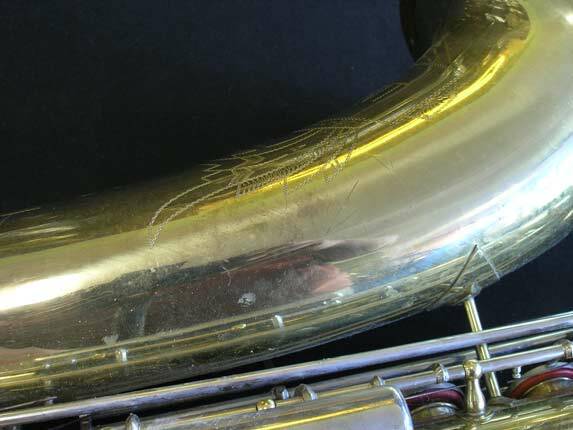 If you’d like to see the article I wrote in October 2010, which contains the above-noted ad, you can find it on my blog.